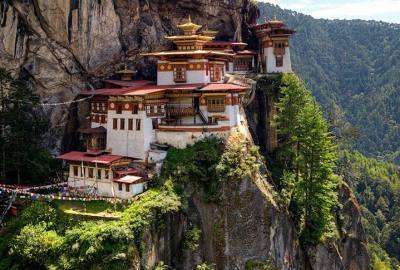 Bhutan, known as "The land of the Thunder Dragons" is a Kingdom situated in magically beautiful and abode of the Gods, the Himalayas. This land-lock country rewards the visitors with some of most spectacular mountain scenarios, unique Buddhist culture and magnificent monasteries. Set amidst a mountainous terrain, this Land of Thunder Dragon or in other words, Bhutan, is a splendid realm. It is shrouded in the mystery of the myths and legends of yore and adds a seductive charm to the pretty nation. Bhutan Holidays Packages are therefore, a getaway to serenity. It is a popular traveler's most visit destination and there are many vacation packages available to travel to Bhutan. The country is environmental and progressive, in embrace with the latest developments. Bhutan tours are a revelation, as the propagated philosophy of Gross National Happiness is extremely popular amidst the Bhutanese people. However, Bhutan Tour Packages are a little on the expensive side when you go on a Bhutan Tour. You will be enthralled by its spectacular of natural beauty. Buddhist temples and heritage forms a big draw for these travel packages. You could be one of the few to stand on the mountains of Bhutan to gaze at the breathtaking landscapes on your Trip to Bhutan.